Tombstone is a step back in time! 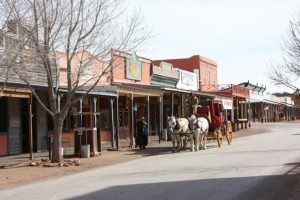 Two years ago my husband and I traveled to Tombstone, Arizona. I’d been to the town once before but for some reason we never walked through the Bird Cage Saloon. Visiting the infamous building was on the top of my list this last time. I hope you enjoy my photos from this trip! Tombstone is located in southeastern Arizona and was the site of the famous gunfight at the O.K. 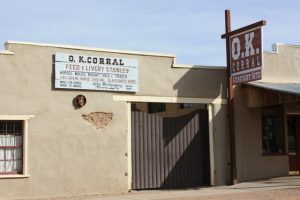 Corral and Boothill Graveyard. 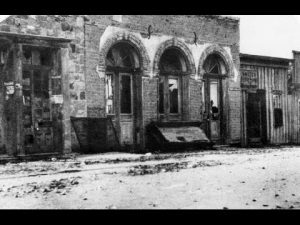 The town suffered two devastating fires: one in 1881 and again in 1882, but the Bird Cage Saloon survived both.The saloon was located in the heart of the red-light district on the corner of Allen Street and 6th Street. 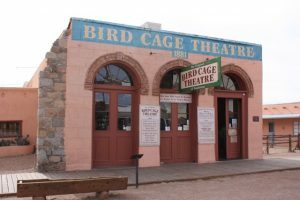 The photo below shows what the Bird Cage looked like before the outside was renovated. The building remained boarded up for the next fifty years before it reopened as a tourist attraction. The outside of the structure was remodeled to protect it from the elements. 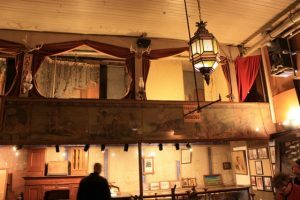 Inside the Bird Cage you will find the original wood floors that Doc Holiday, Wyatt Earp, Bat Masterson, Luke Short and the Clanton family all walked across. Even the mirrors behind the bar are original. The only part of the inside that has been renovated is the staircase leading to the basement. 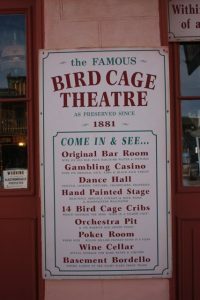 The Bird Cage served many purposes as listed on this sign. 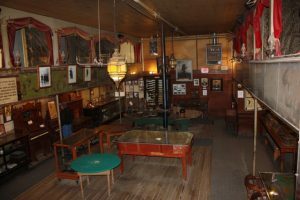 The saloon was considered a “house of negotiable affection” and for $25 a gentleman could buy a bottle of whiskey and time with a lady in one of the 13 “cages” or cribs suspended above the gambling parlor. Twenty-fours hours a day the vaudeville circuit played on the stage. The piano in the picture has sat in that same spot since 1881. 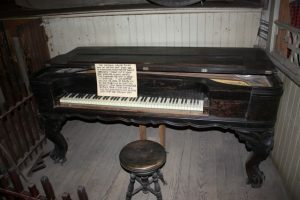 The piano was the first to arrive in Tombstone and was part of a five-piece band that played in the saloon from 1881-1889. The saloon also had a barber if any cowboy wanted to “spiff up” before visiting the ladies in the upstairs cribs. 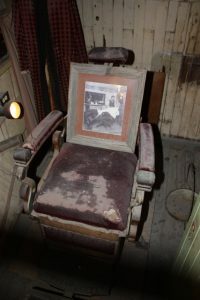 Outlaw Curly Bill was recognized getting a haircut in this chair and was later tracked down and killed by Wyatt Earp. 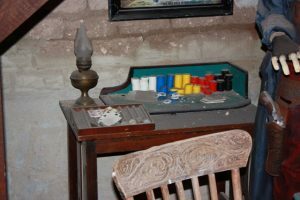 The table is the original table in the gaming parlor where Doc Holliday was often seen playing and dealing Fargo. 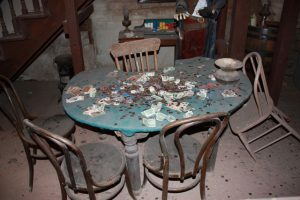 The basement of the saloon is where the serious gambling took place and was the location of the longest poker game ever played in history. The game lasted eight years, five months and three days. Twenty-four hours a day seven days a week. There was a $1,000 buy-in and a continuous list of gamblers waiting to get into the game. 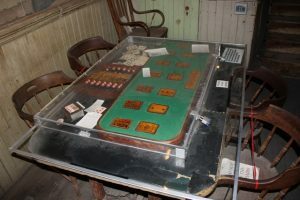 The saloon employed runners to go out on the street and find the next player on the list when someone folded or left the game which averaged every 3 to 4 days. One of Tombstones most famous soiled doves, Sarah Josephine Marcus, who went by the name of Sadie Jo & Shady Sadie worked at the Bird Cage in the basement. 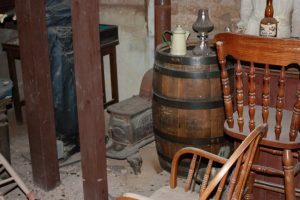 Below is the room where she and Wyatt Earp had their romantic liaisons while she was engaged to the then sheriff of Tombstone, John Harris Behan. 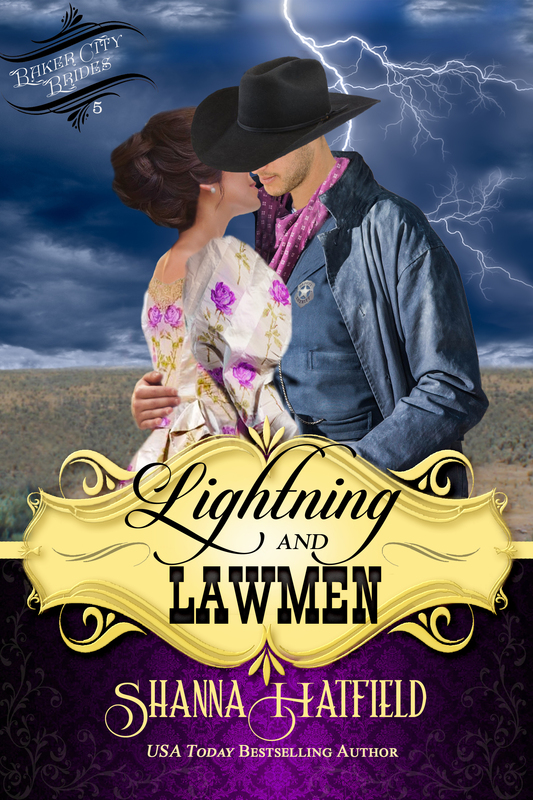 At the time Wyatt lived in a covered wagon fifty feet away from the Bird Cage with his common law wife Mattie. 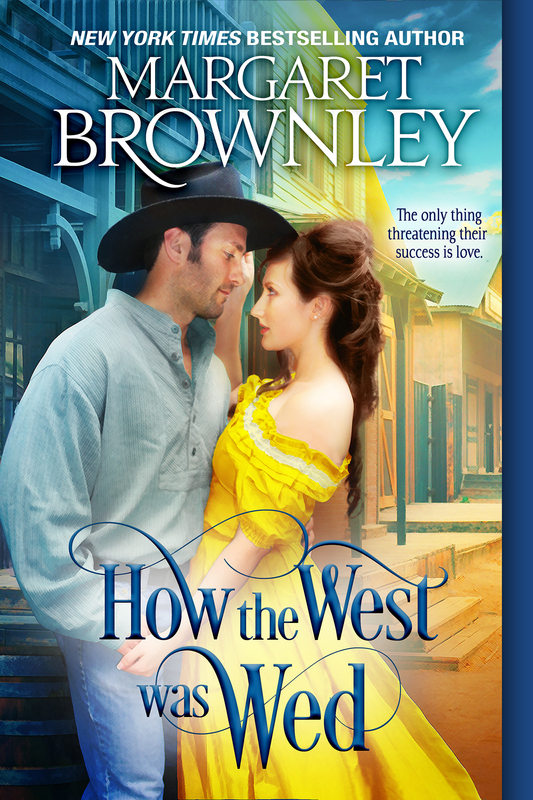 Wyatt left Mattie for Josephine and Mattie was forced into prostitution in Prescott, AZ. and later committed suicide by overdosing on laudanum. 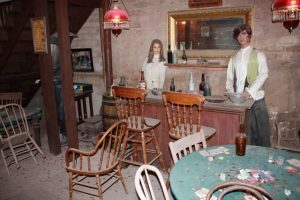 You know me and my fascination with ghosts…well, it is said that 27 ghosts inhabit the Bird Cage Saloon—the same number of people believed to have been killed in the building. 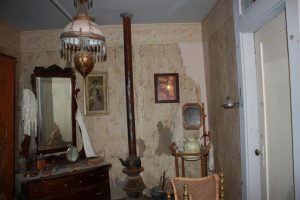 Employees say they often smell perfume and cigar smoke when working as well as seeing apparitions. 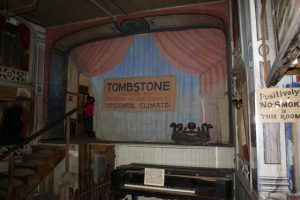 Ghost tours are given at night, and one day I’d love to return to Tombstone and take the tour. 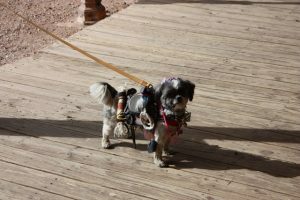 Before I sign off, I have to share one more photo of this little cowboy I came across on my trip to Tombstone. 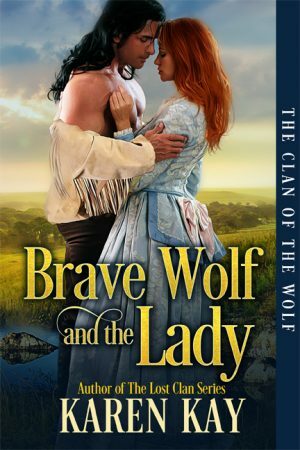 To be entered into a giveaway for a Kindle copy of all three books in my series share this blog post and put the link where you shared it in the comment section! 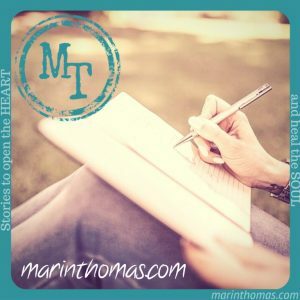 I’ll post the winner’s name on Saturday Oct 14th in the comment section of this blog post. 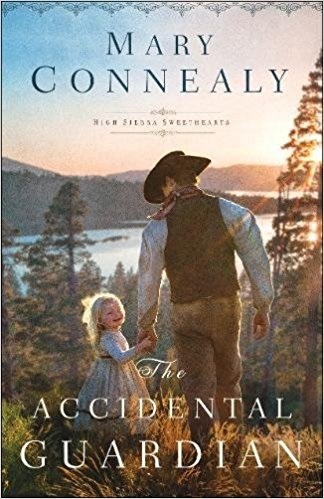 I invite you to come along as I share my travels through the American old west. 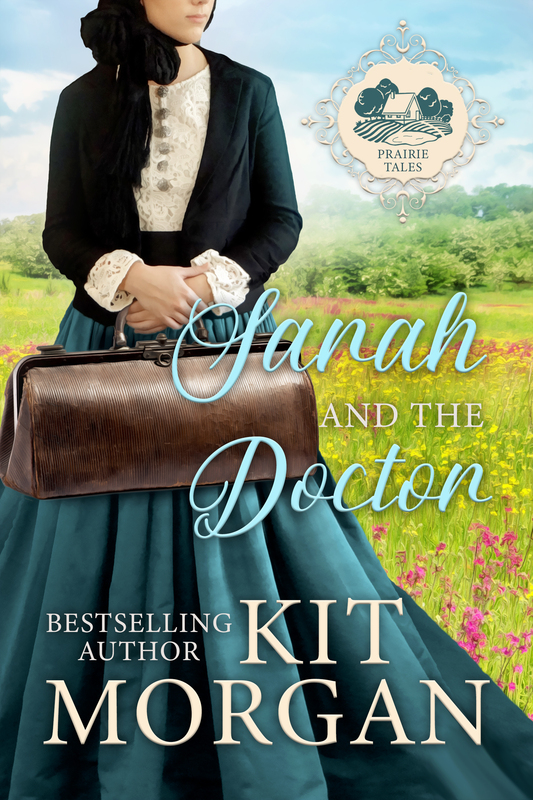 I’m thrilled to be one of the new fillies here at Petticoats & Pistols and I can’t wait to share my love of the Old West with you. 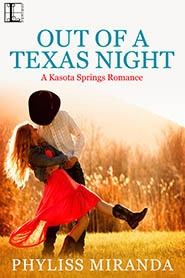 About me: Along with writing contemporary western romances I also write contemporary romantic women’s fiction. 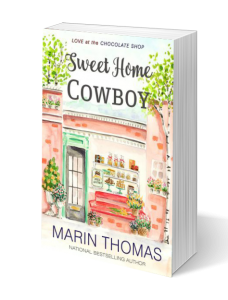 You’ll find that all of my books are set in small towns and usually include a few quirky characters. 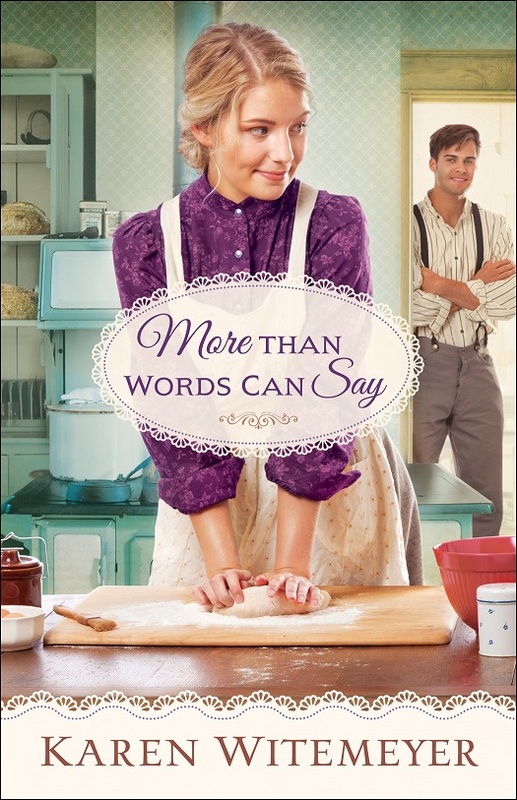 My stories incorporate the themes of home, family and redemption. 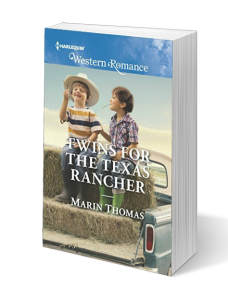 This September I will publish my 40th project for Harlequin Books and my current series is called, Cowboys of Stampede, Texas. 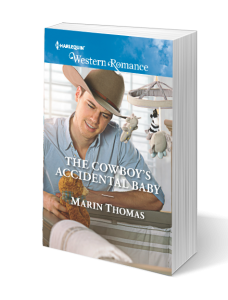 I also write small-town romances for Tule Publishing’s Montana Born line and Sweet Home Cowboy is my latest release. And I’m a member of the Tall Poppy Writers. 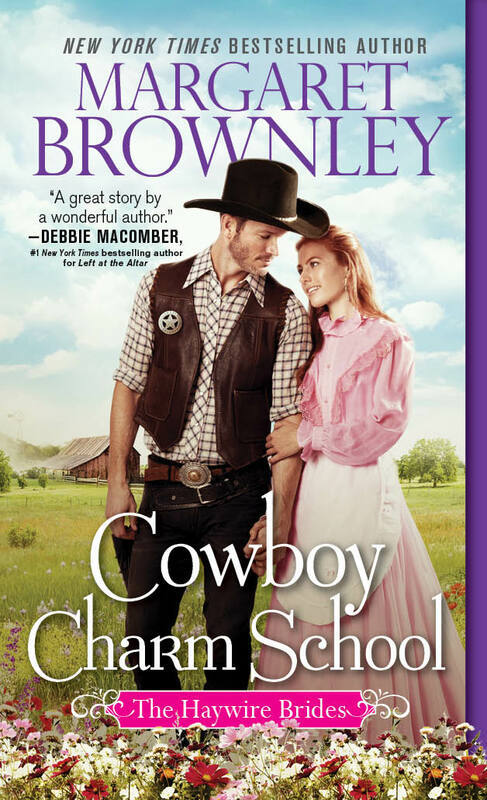 You can find out more about my small-town romantic women’s fiction novels as well as my western books on my Website. If you follow me on social media then you know I love junk. My friends call me vintage Marin because I love flea markets so much. 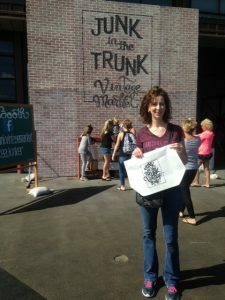 If you haven’t heard of Junk in the Trunk you should check it out! I don’t know why, but I’ve always been comfortable around old stuff. I find ideas for my stories and characters when I browse through people’s castoffs. My love of antiques goes right along with my love of history and the old west. One of my hobbies is researching ghost tours and haunted old west towns. Sadly I’ve never experienced an encounter with a ghost but I love taking tours that share the history of the haunted locations. Hubby and I currently live in Phoenix and we’re recent empty nesters so we’re using our newfound freedom to travel the beautiful Grande Canyon State. 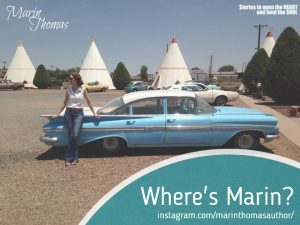 This past July my husband and I ventured out on Route 66 in northern Arizona. You can find all of my travel photos on my Instagram page. 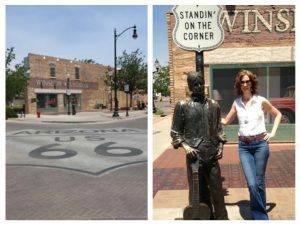 Route 66 Standing on a corner in Winslow, Arizona has been on my bucket list for years. For those of you who are confused this video Take it Easy by the Eagles band will explain it and reveal my age, lol! 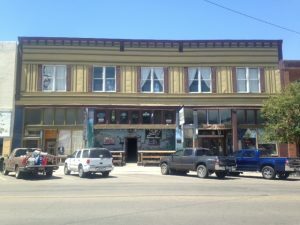 After Winslow we got off Route 66 and stopped at the copper mining town of Globe, Arizona and had lunch at the haunted Drift Inn Saloon—one of oldest continuously operating saloons in the state, opening its doors in 1902. 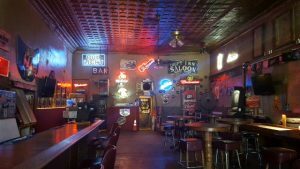 The Drift Inn Saloon has been named one of the top five biker-destination bars in the state by the Arizona Republic newspaper and one of the “Magnificent 7” saloons by Arizona Highways Magazine. 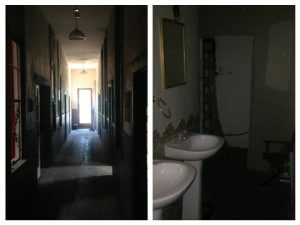 The second floor was originally opened as a boarding house for miners then turned into a brothel a few years later. 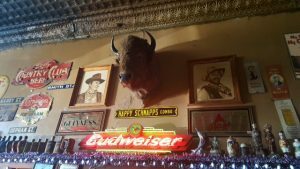 The bar is a living icon of the Old West, with its original tin ceiling. A Frank Olsen mural of Monument Valley is painted along one wall and hanging above the image are vintage portraits of soiled doves, which pay homage to the ladies who once worked in the brothel above the bar. When I learned the bartender Eileen, was one of the owners of the bar, I bombarded her with questions about the history of the building. She and her partner had lived on the second floor for several years while they renovated the bar. She claimed the building was haunted and then asked if I’d like to go upstairs and look around. Of course I said YES! Eileen told stories about the building that the local old-timers had shared with her after she bought the place. Several mediums have walked through the building and confirmed that spirits inhabit the premises. One of the rooms is said to be full of trapped souls unable to escape. And room 18 is said to be a very dark, evil room. A young woman stands in the shower and watches people in the bathroom. And of course there’s the nasty spirit of a man who wanders the upstairs. The medium couldn’t tell the owners for sure who he was but they believe he may be either Joseph Ludwig, a local miner who was murdered in one of the upstairs rooms in 1906 or the man who murdered him. 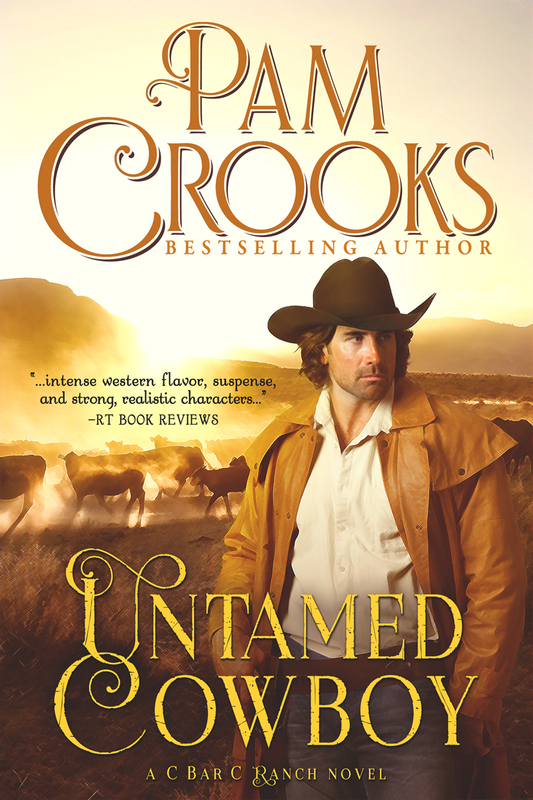 As a writer we romanticize cowboys and the old west in our stories… because who wants to read about smelly, bowlegged men who bathe once a month and are missing half their teeth? 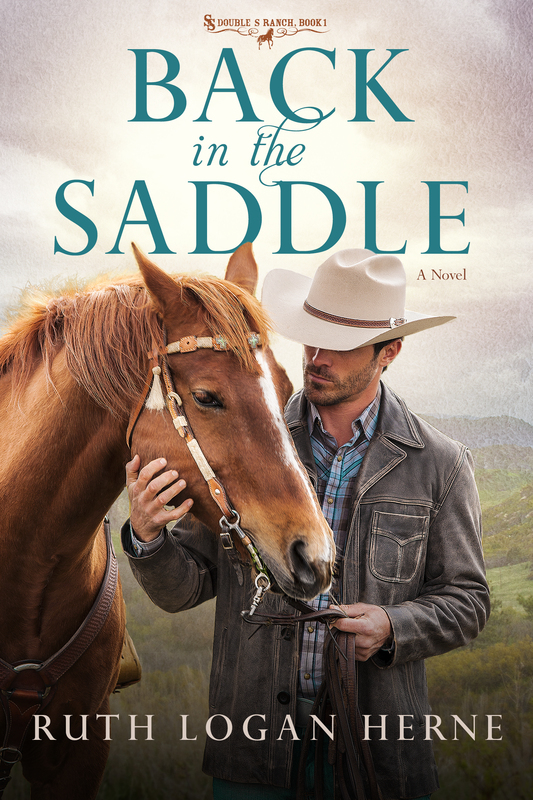 But that afternoon in Globe as I walked past the twenty-five rooms on the second floor of the Drift Inn Saloon, I had to acknowledge that life in the old west could be cruel, harsh and deadly. I hope you enjoyed hearing about my experience at the Drift Inn Saloon. 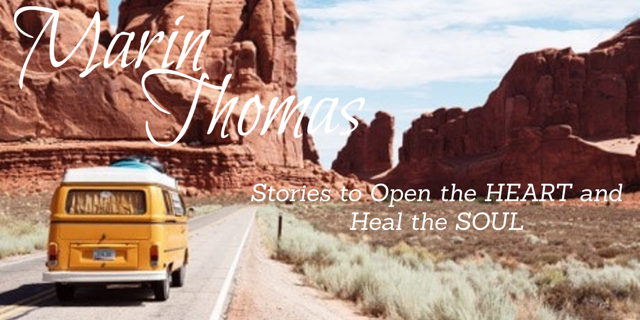 I can’t wait to share with you the other Route66 places and towns in Arizona. 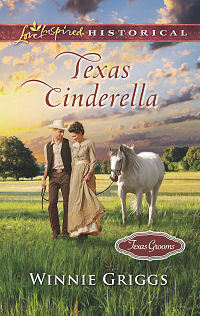 And since this is my first blog as an official P&P filly, let’s do a giveaway! 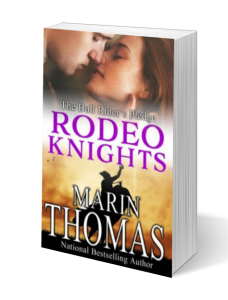 Tell me if you’ve ever had a paranormal experience or taken a ghost tour and your name will be entered into a drawing to receive a digital copy of my sweet western novella, The Bull Rider’s Pledge. 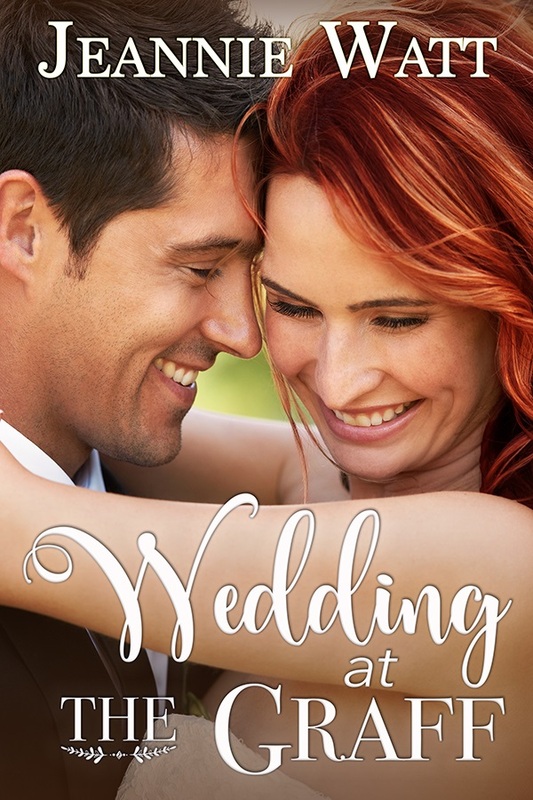 I’ll reveal the winner’s name in the comment section of this blog post on Saturday August 12th.